Amjad, 05 Jan 2012Please help me to chose the mobile phone which is good for its functionality, durability Samsu... moreGo for galaxy mini for better android version (upgradable on gingerbread 2.3.6) and larger screen (3.14 inches-240x320 pixels-256K colors). xperia x8 only have 2.1 eclair and 3.0 inches screen but has higher resolution(320 x 480)and more colors(16M colors). you can install apps in your sd card in both units. how can i use the internet connection for free??? Anonymous, 29 Dec 2011You can download android apps. to your pc then send or copy to the phone. Here is the way to g... moreHi i have downloaded that aplication on my phone. but its not working. i can see all the contents in different format thats it. zyzy, 03 Jan 2012this phone have 3g or not?? What 3G, it can even works in 3.5G networks (HSPA)! joy, 03 Jan 2012how to remove the icon H with down and up arrows that appeared on my upper screen?Ii blinks ev... morego to setting,then wireless & networks,then mobile networks,then dont allow the data traffic . this phone have 3g or not?? this is a nice phone??? how to remove the icon H with down and up arrows that appeared on my upper screen?Ii blinks everytime i access my phone. lalala, 31 Dec 2011if i swap my E71 for SE X8.. Is it worth it? Will anyone tell me what is the specalities of X8... moreIMO it's not worth at all. It's like changing an old device with another outdated one. X8 is too outdated comparing it to the current android phones available in the market. It's too far behind regarding the OS version that wont be upgraded officially beyond v2.1, too many limitation on hardware's and softwares capabilities. Unless you root the phone, you can't install many applications as it has very limited internal storage and you can't install them to memory card. 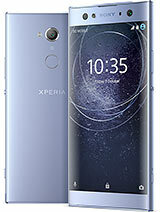 Talking about its specialities, as an Xperia phone X8 is a good designed phone, good in handling multi media and social media facilities, decent performance (in my experience), one complain tho perhaps is the on screen keyboard, quiet uncomfortable on its small screen also the touch responsiveness if compared with Xperia 2011 such as Xperia mini. Last thing to concern if you shift from a nokia phone is battery life: android smartphones are terribly poor at this area. So if you can add more budget you'd better go with a gingerbread android phone. if i swap my E71 for SE X8.. Is it worth it? Will anyone tell me what is the specalities of X8? Thank you.